There are thousands of ways to save money, but there are only a few ways to save a lot of money. Here, we’ll cover the three biggest ways to save money. Logically, they are by reducing your three biggest expenses – your home, your car, and your insurance. First, look at your home expenses. Whether you rent or own these expenses can usually be reduced. The easiest way to save a lot is to refinance your mortgage at a lower interest rate. Check current rates and if your mortgage is 3/4% or higher than the going rate, you should refinance. If refinancing doesn’t work out and you really need to save money, don’t worry, there is plenty of money to be saved elsewhere. If you are not a homeowner but rather a renter, you have more options. If the housing markets are poor, you can go directly to your landlord and ask for a discount. In most cases they would rather give you a discount than to have a vacancy and have to find another renter. Also, as a renter, you have the option of lowering your monthly expenses by moving to a lower cost apartment, sharing a larger house or apartment rental, or even buying your own condo or home. If you are a long term renter, there are big savings to be made by buying a low priced condo. For example, in our market the average rent is around $1200 for a 2 bedroom apartment. However, you can purchase a 2 bedroom condo in the same neighborhood for just over $100,000. A $100,000 loan at 5% is around $500 per month, and real estate taxes at 2% would add another $150-200 per month. In other words, you could save around $300 per month, and be able to deduct the interest expense from your taxes. Maybe none of these options work for you, but if you are determined to lower your home expenses there is always a way. The second biggest way to save money is on your car. People love their cars and without knowing, spend a much larger percentage of their budget than they should. You can easily remedy this in a few ways. First, don’t buy your dream car, buy a car that lets you save for your dreams. The enjoyment of a new car wears off over a few months, but the loan payments last for years. Try to settle for something more economical than you’d like and you will thank yourself in five years. Second, buy a newer model used car – certified pre-owned if possible. Driving a new car off the lot decreases the value by about 20%. In 2 years, your car is only worth about 60% of new value. Buy a car that is 1-2 years old and save 30-40%. Also, a car this new will still have low maintenance and if you can get a certified preowned vehicle you will get an extended warranty to help negate any problems down the road. The third way to save on your car is to keep it after it is paid for. For example, keeping a car for 10 years usually means that maintenance remains low and that your payment is gone for about 5-6 of those years. That is money that you are saving and can be investing in something else. Now that we’ve covered your home and car, lets turn to insurance. Insurance is the third biggest way to save money. I know you’re sick of hearing those car commercials, but shopping around for insurance really can save you hundreds of dollars a year or even a month. If you only have car insurance, the online providers that you see on commercials are probably the most inexpensive. However, the more insurance you have the better the savings you get with a traditional nationwide insurer because they bundle the prices, but more importantly the offer all the insurance plans themselves. Progressive and Geico offer homeowners insurance, but it is through a different provider and you cannot talk to the same agent when purchasing. For us, we have six insurance policies (2 homes, 2 autos, umbrella and boat) and we could not replicate all of our policies with Progressive or Geico unless we called 4 different departments to try to get prices. We did and some were better than our local agent and some were worse. We chose to stay with our local agent, but shopped other local agents to make sure we were still saving each month on insurance. Another way to save on insurance is to modify your policies. For example, it doesn’t make sense to have low deductible on auto or home because you typically pay more in premiums, and if you file a claim for a small amount, your insurance will likely go up. It makes more sense to raise your deductibles and keep a fund for any small repairs or damage. If you can’t get yourself a low priced condo to help lower some of your housing cost there are plenty of ways to get better deals on rentals. One of the best ways is to make sure you have a good credit history since a landlord will be doing a credit check. Many of the large apartment management companies use your credit score to determine rental rates. Also if you pay rent in advance the landlord will give you a discount – it shows you have financial stability and he won’t have problems with late rent or missing payments – one of the biggest issues as a landlord. There are a numerous options for saving money in our day to day life. A little amount invested in some scheme can flourish into a certainly large amount. 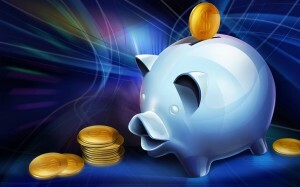 Hey Chris S I liked your great article on Three Biggest Ways to Save Money. Some good pointers, very helpful indeed !! Keep them coming !! My mom always says “Shop to Save”. Go ‘shopping’, get an offer (whether it’s for rent, for a loan, for insurance, for anything ….) and take it to the competition, ask what they offer, ask if you can get more for less. Often they’ll cut the price. It takes time and you might run into a wall a few times, but eventually you might get better offers. for special offers, discounts , I compare prices and very carefully make my decisions. The home, car and insurance are large parts of our budgets. Of course saving on these major expenses are important and necessary. The tips providing extra savings on these were great, and some I wouldnt thought of. You might consider saving on living expenses as home expenses, but I don’t look at those like that. I think shopping around for better deals, couponing and discount buying when needed are valuable ways of savings. If my grocery budget is 200.00 and I spend only 125.00, that’s a 75.00. 75.00 I can either invest or save for a larger expense. Thank you for sharing this article Chris. I totally agree with your tips especially about Home expenses and Car tips. Another tips though, if you wanted to save as much money as you can, you can always get rid of the things you don’t need in your life. We people maybe have a lot of things to have in our life, but if we really don’t need this things we can get rid of them and might can give us extra savings. Asking discount to your landlord’s is a great idea, I never think of it till now I’ve read this article, I’ve been renting a place for 3 years now and I think now is a good time to asked for a discount! I agree with your point about buying a car which serves as way of getting money in our critical situation. If we bought second hand car then we get that is lower cost and we can also make money by selling it and the maintenance cost is also low. I am recently going to refinance my home loan, firstly when i got idea of refinancing then i was really afraid of doing this, but then after lot of searching I got that its way of saving money, you have also explained same here, I feel happy now on my decision. I think refinancing our current home loan is the best option for saving money as you discussed above. But we have to be careful while refinancing by considering the terms and condition of current loan plan. If we go through different consultation site we can get more detailed information regarding refinancing. The biggest ways in saving has to always start small. of course efforts has to be made. Like calculating more, keeping track of expenses. saving is kinda like creating a habit and its far most the best habit that you could build upon. I liked your great article on Three Biggest Ways to Save Money, but Third way is good for save your money. I did the car insurance one and saved over $100 per month, it was crazy. I went on a savings drive and using lists such as the above, saved myself probably around $2000 per year! Now of course, I am investing that money and so it makes me even more. Useful article, actually the concept which you describe of “refinancing ” is really useful while you are planning to save money. These three are Major options where people can save their money and The third option “Insurance” is really important. even I am planning to buy a second hand car so I can save my money. Very true stuff. Definitely the biggest expenses one could have, I think. I’ve always been told that there are only a few things that one should consider getting a loan for, one being your house, your car and school. Therefore trying our best to avoid extra expenses is a great thing.